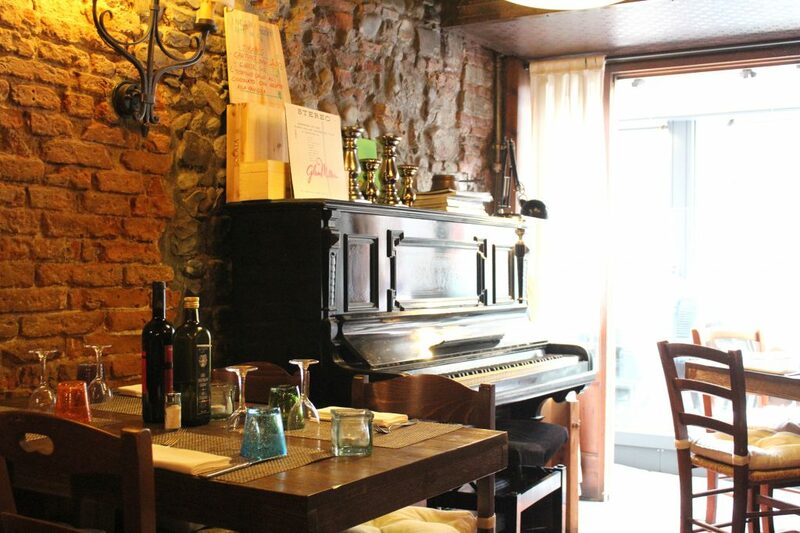 Trattoria Vecchio Mercato: live music every Monday night. We had our last meal in Italy at Trattoria Vecchio Mercato, and what a meal it was! It had everything we wanted to finish our holidays in Italy with great food memories. And that particular evening we’re super lucky! Coincidently, it was on a Monday, the day they have live music in the house, played on the piano at the occasion by a very talented musician. Hubby: Red chicory and gorgonzola risotto. Mine: Spaghetti alla carbonara: spaghetti with eggs, ham, cream, cheese and black pepper. 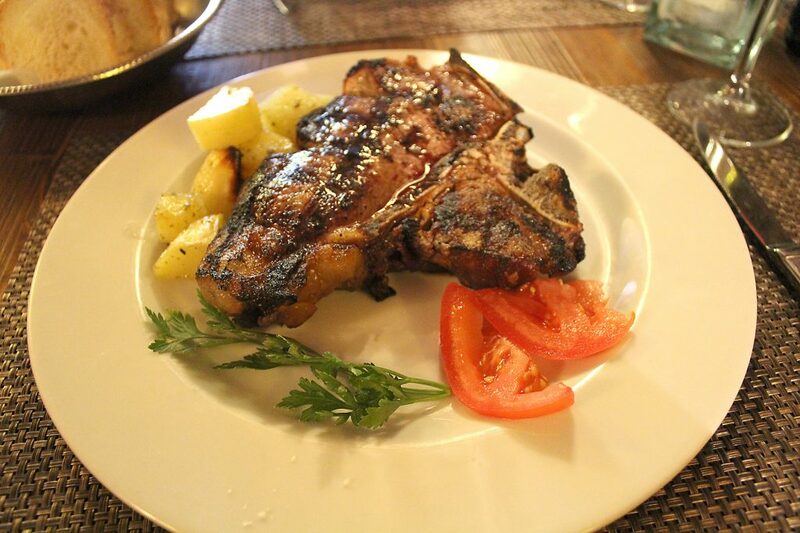 To share: Bistecca alla Fiorentina for one person (~500 grams), with potatoes e tomatoes. 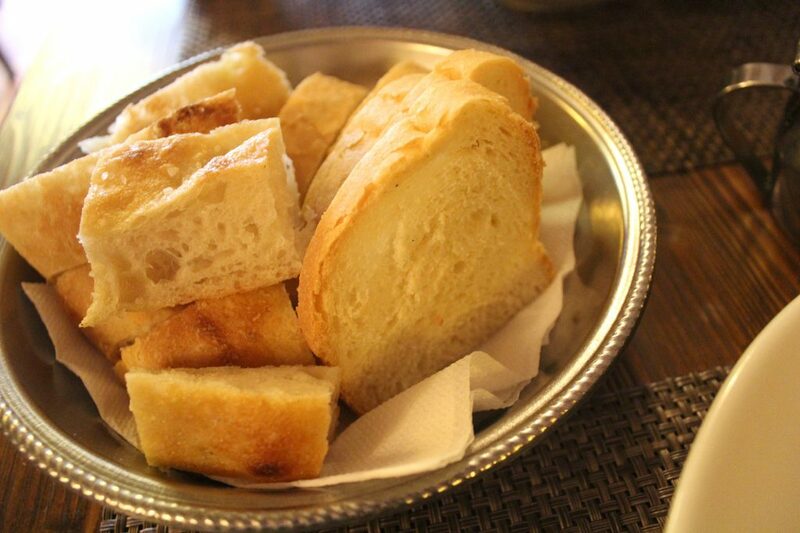 Entrée: Italian bread and focaccia. 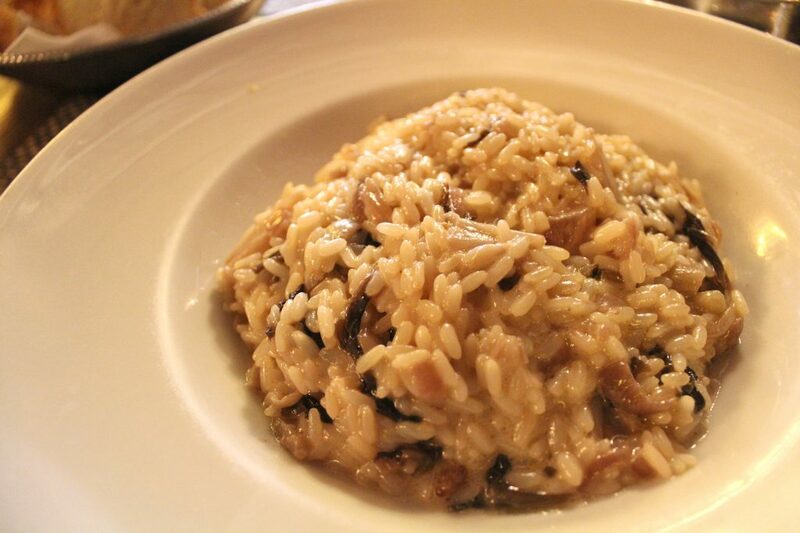 Red chicory and gorgonzola risotto. 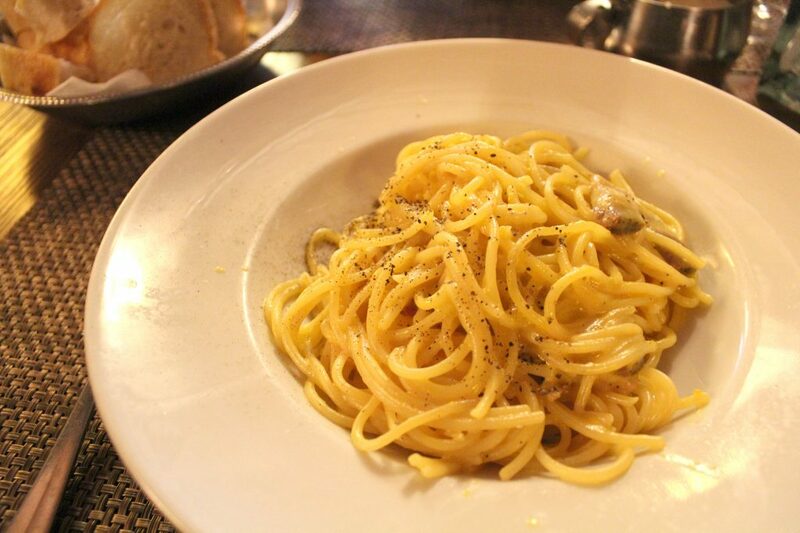 Spaghetti alla carbonara – Spaghetti with eggs, ham, cream, cheese and black pepper. Bistecca alla Fiorentina for one person (~500 grams), with potatoes e tomatoes. My carbonara was perfection in form of pasta, I can honestly I’ve never had a carbonara so good as this one before. A small side note goes to the famous Bistecca alla Fiorentina though: given how famous this dish is, I had high expectations. I might say that, yes, it is good, but not something exactly remarkable. It’s just a good steak, and that is it. We decided to get the smallest one to share and it was enough. By the way, it wasn’t on their menu, but as we intended to share, the waiter also suggested a 750g version. So maybe other fractions are also available. The house also serves a good number of Italian wines, and of course, we decided to get a bottle of red wine to celebrate our amazing holiday in this fabulous country. Amazing place to have a nice and cozy dinner with your loved one. The atmosphere is great, food amazing, service spot on. It’s also super close to Mercato Centrale Florence, so in case you happen to be around the area, Trattoria Vecchio Mercato is a great choice to include in your itinerary. You can check more posts here on the blog about my holidays in Europe and also everything I published about Italy or Florence.